There is something quite magical and tranquil about not being attached to land, escaping the hustle and bustle of London life and setting sail on the open water. 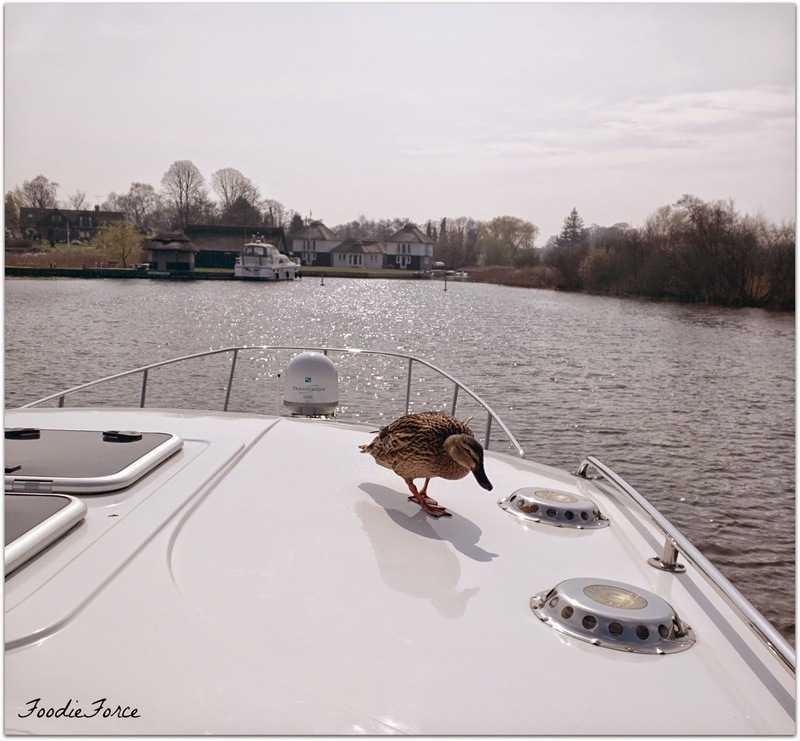 Last week this was exactly what we did (well without the sail), we climbed aboard our Royale Light boat for the week and had nothing but nature and the tranquil waterways of the Norfolk Broads to look forward to. Being in charge of a 44ft boat is really quite daunting but I shouldn't have been worried the boat was surprisingly easy to skipper, with side thrusters to help moor. 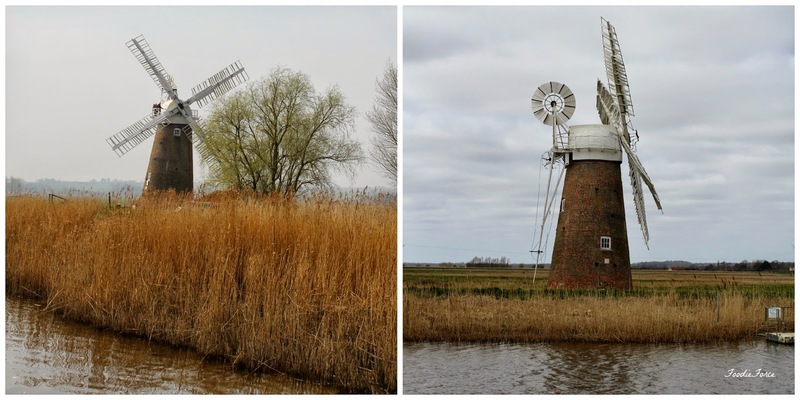 The Norfolk Broads has some wonderful ruins, windmills, wildlife and quaint towns to visit. 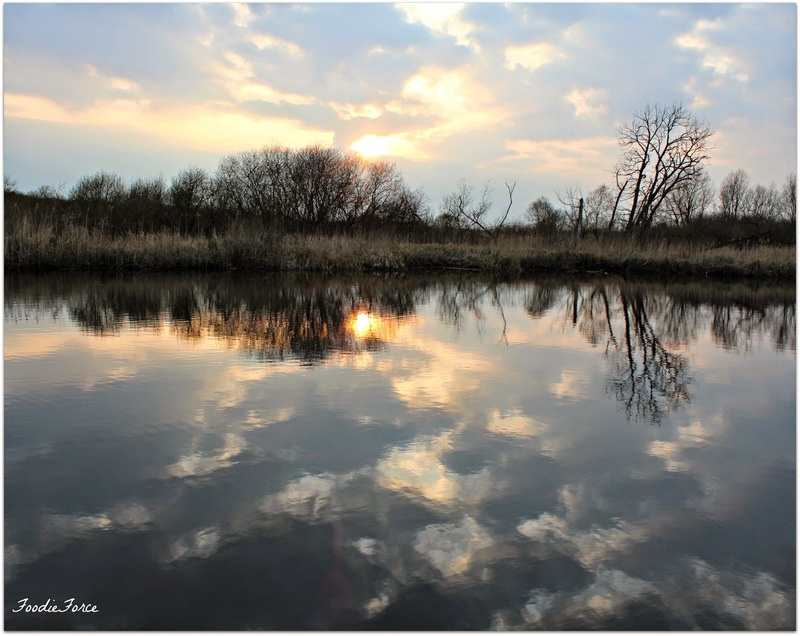 Below is Benet's Abbey housed by the river Bure the site is a memorial to the monastery that used to dominate the area. 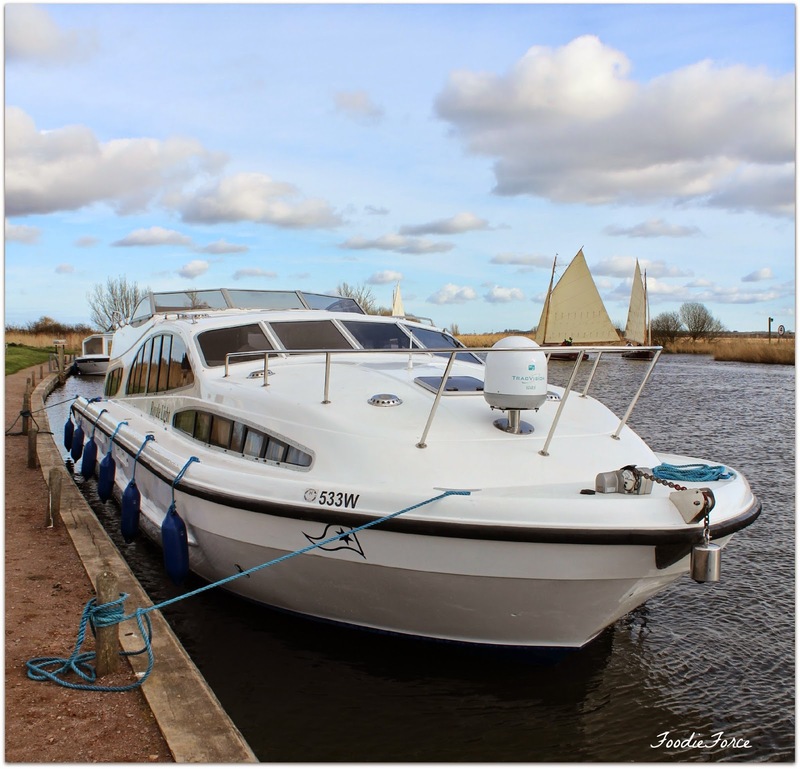 Travelling along the banks of the Norfolk Broads you can view numerous beautiful windmills set against the wonderful countryside. 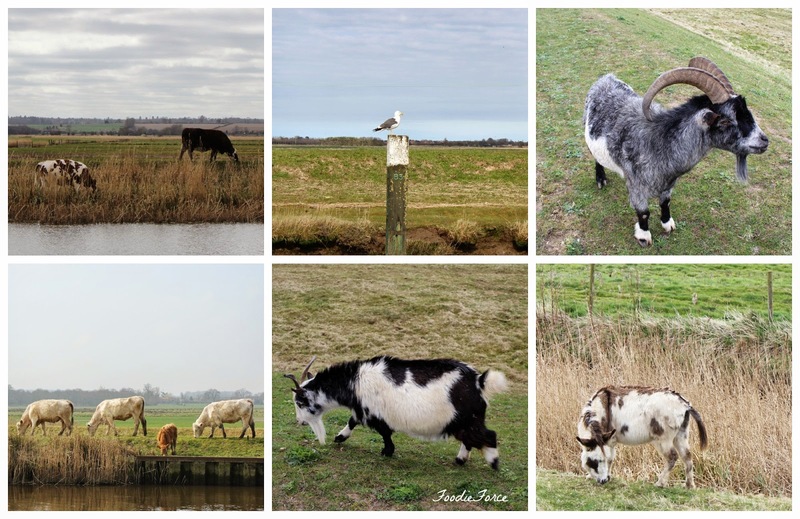 The wildlife on the Broads is amazing. We spent many an hour watching the many birds, swans, goats and ponies meandering. 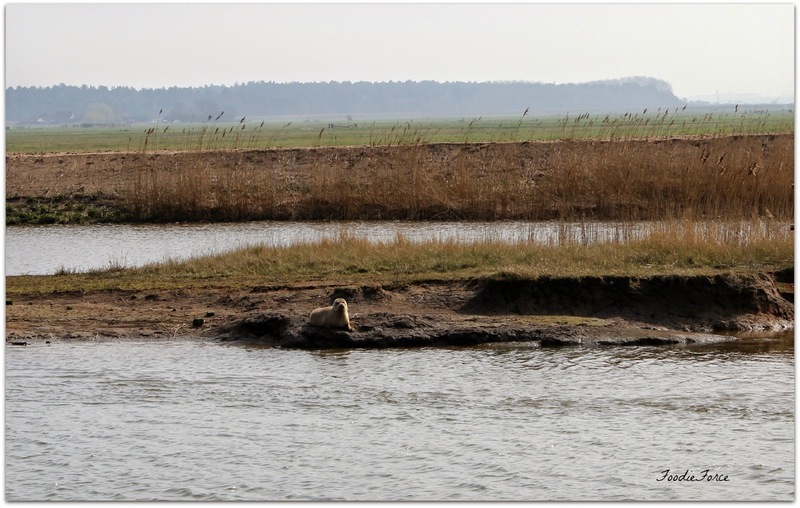 We even saw this little chap hidden on the banks when navigating Breydon water. Some visitors came calling most days and were not shy at all. We travelled from the quaint little town of Potter Heigham to Norwich. Trying to navigate past rowers and sail boats at times became a challenge especially when they were out in force. 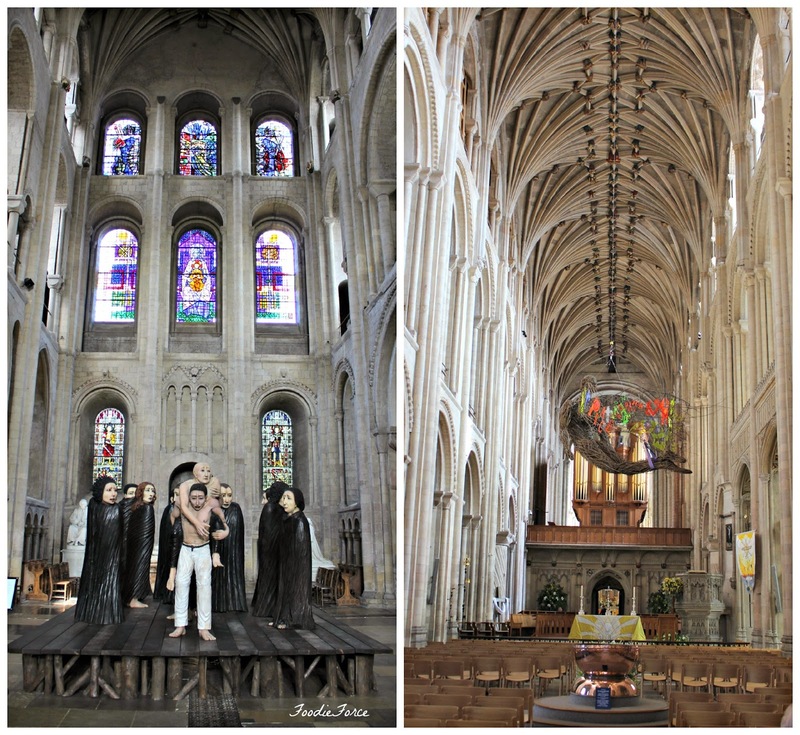 We stopped for the day in Norwich for a lovely lunch and to visit the Cathedral. 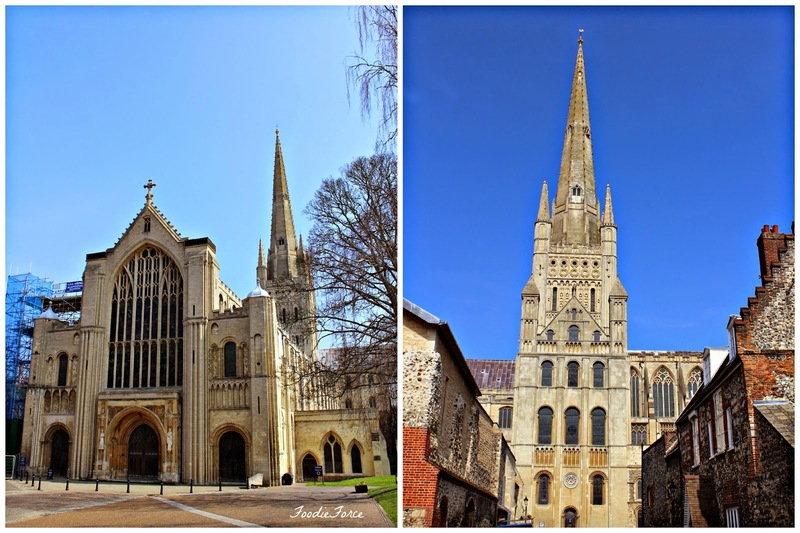 Standing for over 900 years Norwich cathedral takes centre stage in the heart of Norfolk. 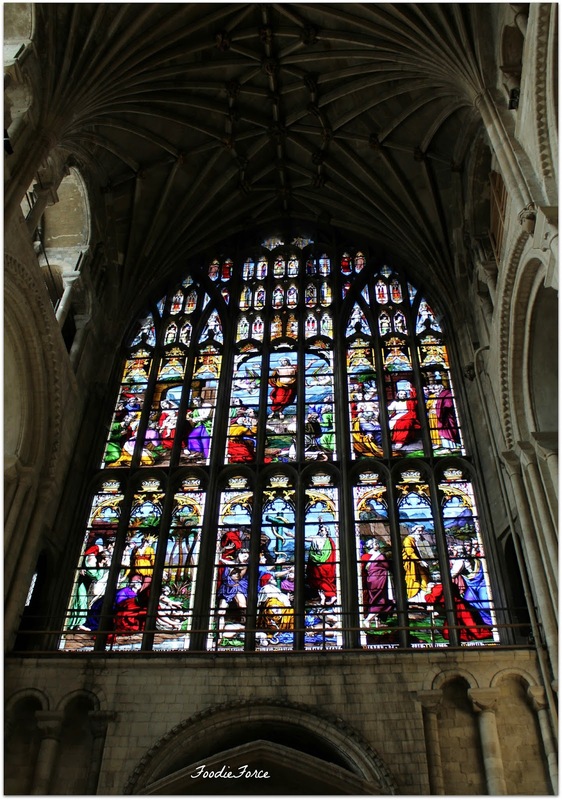 It is quite an amazing building with beautiful architecture and adorned with stained glass windows. The top of the Cathedral is currently housing a soon to be family of Peregrine Falcons. You can find a live feed of the birds here. 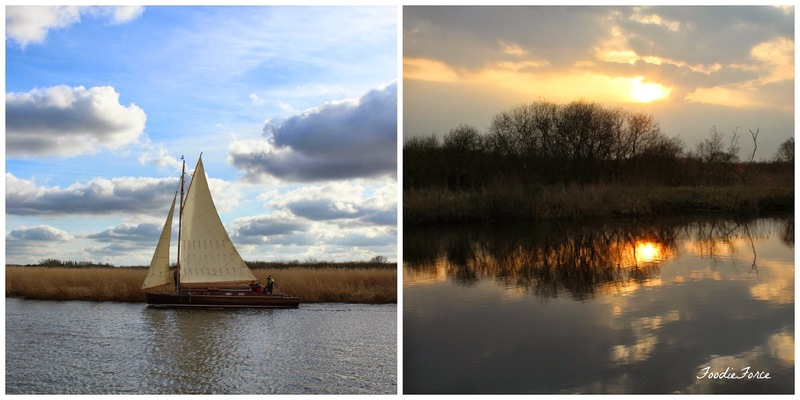 We had an amazing visit and I can't recommend enough the Norfolk Broads as a holiday perfect for nature lovers, those who seek adventure and families. Every evening we settled down for the sunset and I will definitely miss these the most now that I am back on dry land. What vistas. Wow, that boat does look intimidatingly big. Lovely photos though. It looks so relaxing. 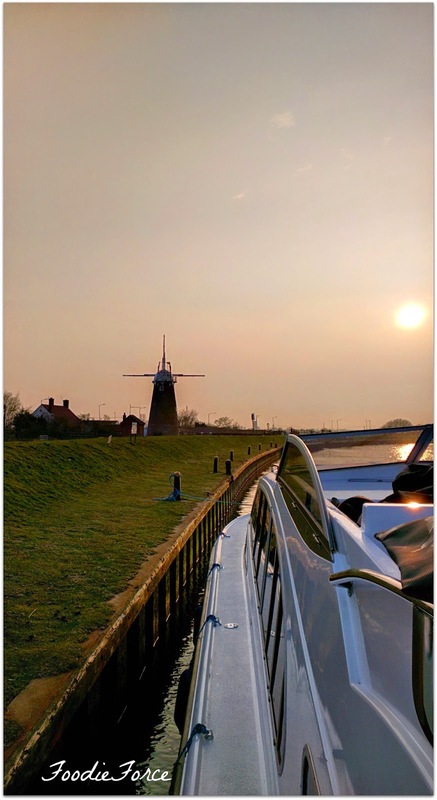 How lovely :) I've got day boats out a couple of times but never done an actual holiday on the Broads, even though my Mum actually used to work for Blakes Boating Holidays in Wroxham! Simon did a boating holiday years before he met me with a group of friends and he talks about how much he loved it all the time! Did you get to Ranworth or Horning? I think they're my favourite villages on the Broads, oooooh and Coltishall as that's where I went to school! I'm glad you made it to Norwich, I used to work for a solicitors opposite the cathedral so had a beautiful view out of the office window every single day! 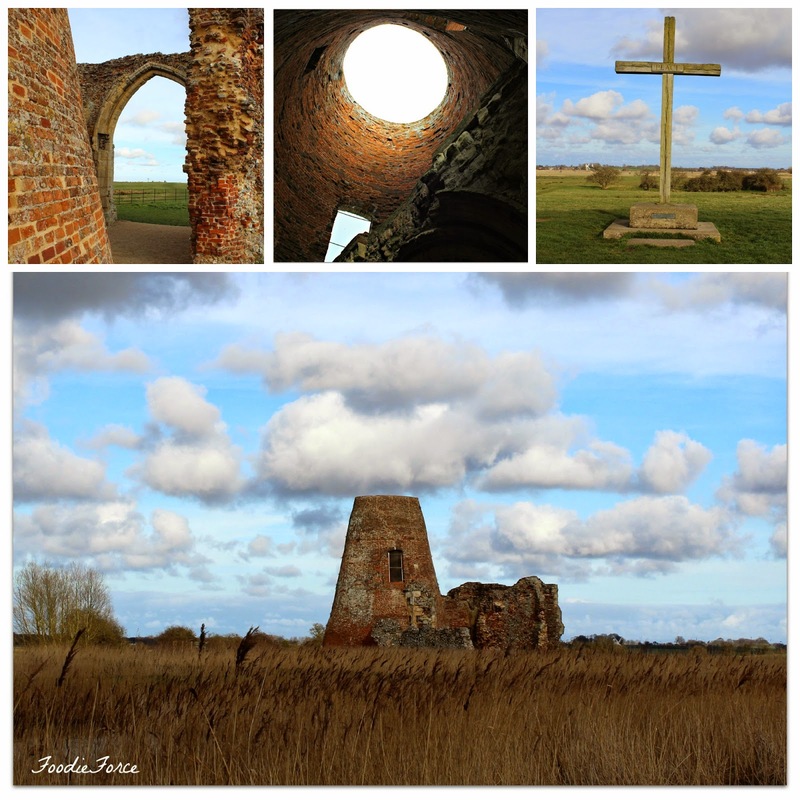 I'm off to Norfolk in a couple of weeks for a christening, such a lovely relaxing town. 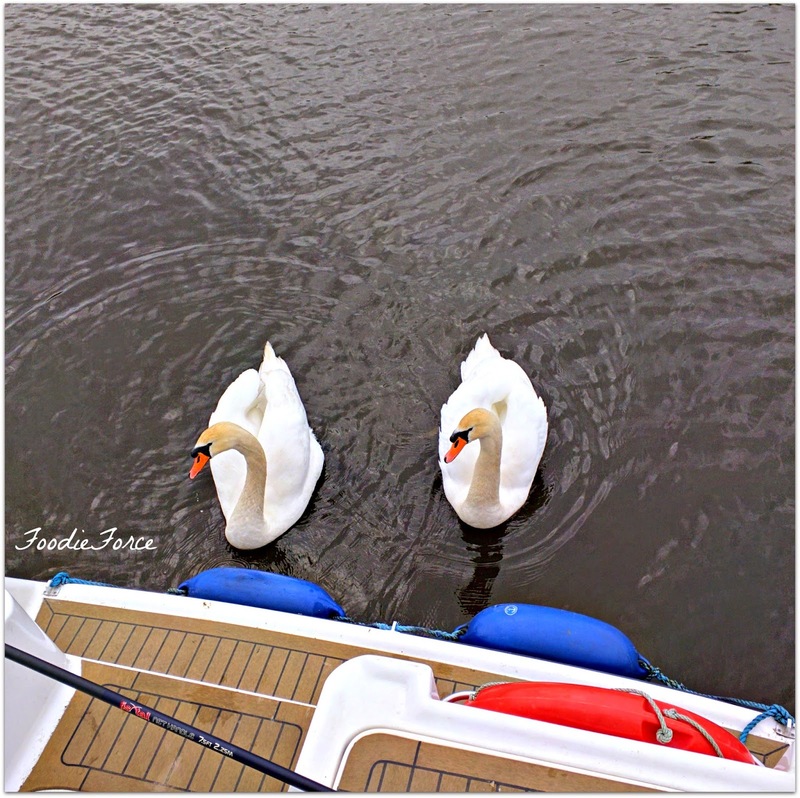 Aw, this post brought back so many happy & fond memories... we used to visit the broads every year when I was growing up and had a boat :) it was such family fun! You're right, the wildlife & scenery really are amazing! This looks amazing! I want to see what the boat looks like on the inside. Curious. wooahh!! so gorgeous! :D so peaceful! thanks for sharing. This looks so peaceful! 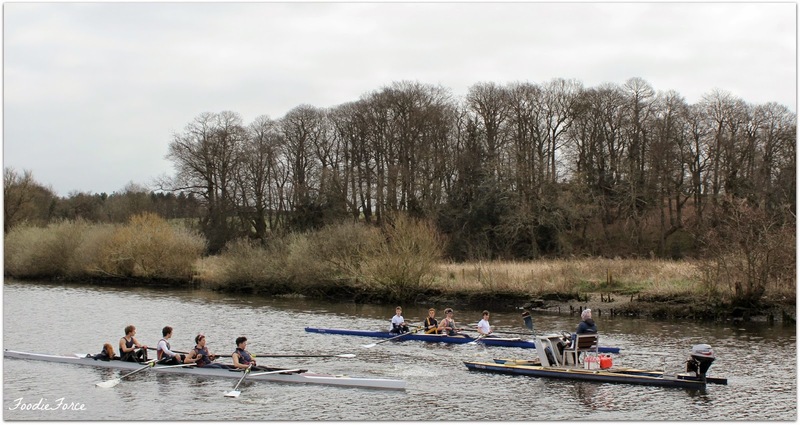 I used to go down the Shannon in a boat for a week with my family, we never got the weather for it though so it kind of ruined it for me but this looks really lovely!